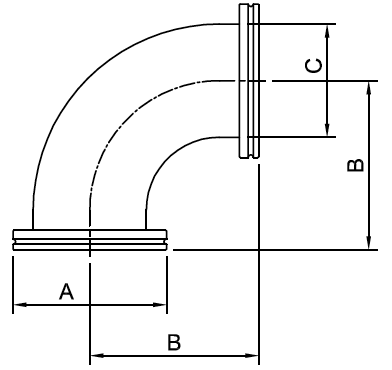 ISO 90 Degree Elbows were manufactured for in vacuum process systems to help alter the direction of pipework. This product is made from 304 stainless steel. The ISO 90 Degree Elbow is also helium leak tested up to 10-8 mbar. The product is packed in a plastic bag and sealed by protective plastic caps. This product is compatible with alternative supplier’s products and is manufactured to the ISO standards.